Sepor Now offers its new Mobile field prep lab. Sepors Lab incorporates the newest technology and design innovations based upon the experience its’ personnel have acquired with decades of Mining and oil field experience. Safe and clean work environment for employees. Reduced shipping costs and time to results. Samples ready to be sent for analysis. Reduced construction time as units can be prepared offsite and delivered virtually ready to operate. Flexibility – we design a facility for a testing program you choose. 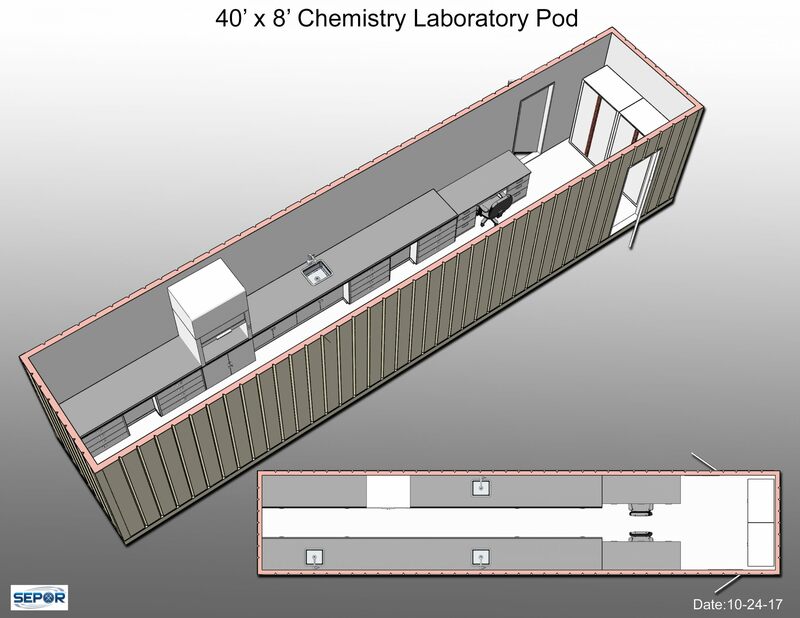 The lab utilizes ISO international sea freight containers in standard sizes able to meet shipping regulations throughout the world. 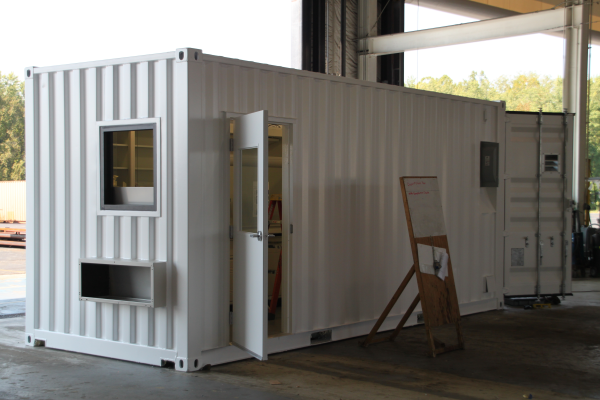 Mobile Prefab Knockdown Units available as well for additional office or camp space, designed to the customer’s needs. Dust control system to meet and beat the standards required for safe work conditions. Sepor can attach a clean room, a modular and completely mobile unit, easily assembled with “knockdown” technology. The unit is water proof, temperature insulated and secure. A LIMS system can be integrated into the clean room workstations to provide the necessary sample tracking for chain of custody and due diligence requirements. The unit comes with an installed smoke detector, barred windows and steel doors. Exterior is of clad galvanized metal with PVC overlay.